Ticket scalping is negatively impacting the entire entertainment industry. When fans pay more for tickets they spend less on live music, festivals, merchandising and recorded music. In fact, a recent survey showed that nearly 70% of fans will attend fewer gigs due to overpriced tickets. 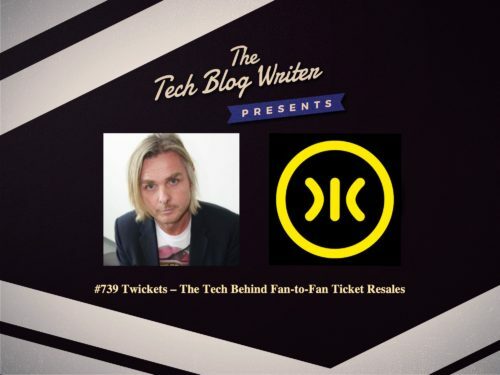 Meet Twickets, the ethical ticket resale marketplace enabling fans to buy and sell tickets at no more than face value. The company was founded to provide a fairer way for fans to see their favorite artists. Twickets has already saved fans over $10 million dollars worldwide and is endorsed by some of the biggest artists in the US including Queen, Ed Sheeran, Adele, Elton John, Eric Church, Arctic Monkeys, Muse, Foo Fighters and many more. Richard Davies, Twickets Founder & CEO has worked in the music and digital industries for over 20 years. Prior to founding Twickets, Richard successfully founded and sold two companies. In 1994, Richard formed one of the first UK digital agencies Good Technology which was acquired by WPP after 6 years of operation. Richard also co-founded Crunch, Europe’s first music download service, with AOL and Emusic.com as investors which was later sold to Music Choice. In 2005, Richard set up mobile application and commerce specialist Future Platforms which is still independently owned but now run by a separate management team. I invited Richard onto my daily tech podcast to shares his inspiring journey in both the digital and music industries while also successfully launching and selling two companies. We talk about building trust in the ticketing business through Twickets and Richard also provides a little advice for other startup founders.